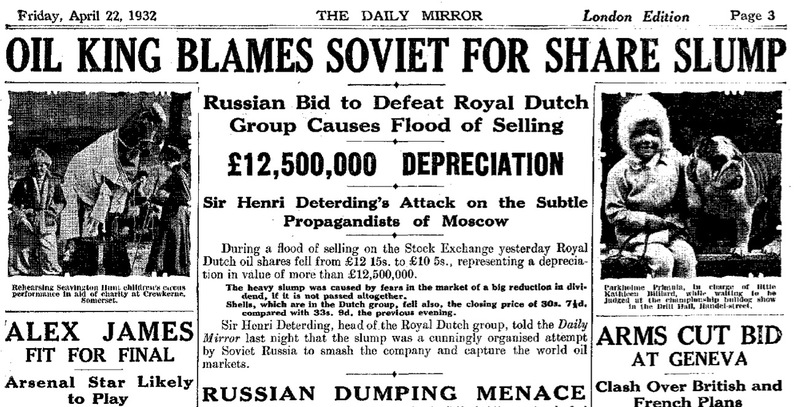 Sir Henri Deterding, head of the Royal Dutch group, told the Daily Mirror last night that the slump was a cunningly organised attempt by Soviet Russia to smash the company and capture the world oil markets. The above is just the lead in to a major article, accessible via the link provided. 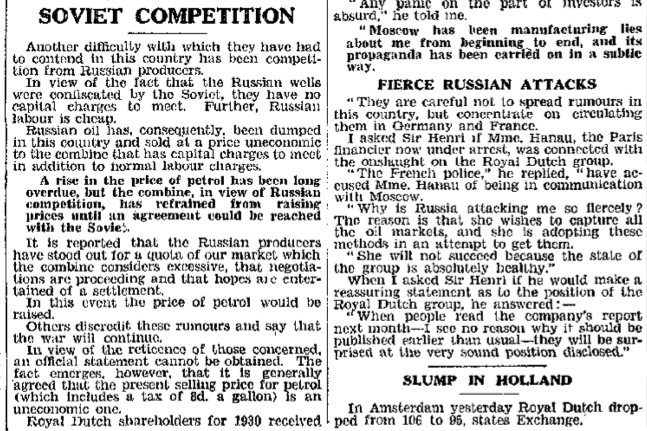 Sir Henri Deterding, head of the Royal Dutch group, told the Daily Mirror last night that the slump was a cunning organised attempt by Soviet Russia to smash the company and capture the world oil markets. 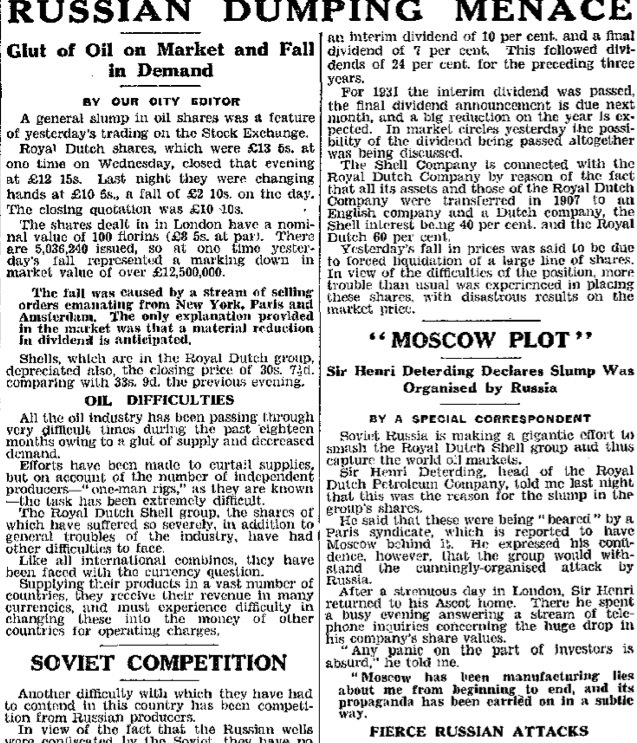 …the magazine points to the relationship between the English newspaper king, Beaverbrook and Sir Henry Deterding, and indicates in connection therewith that both these people have in the last few years, on ever increasing scale, placed resources at the disposal of the National Socialist movement in Germany. 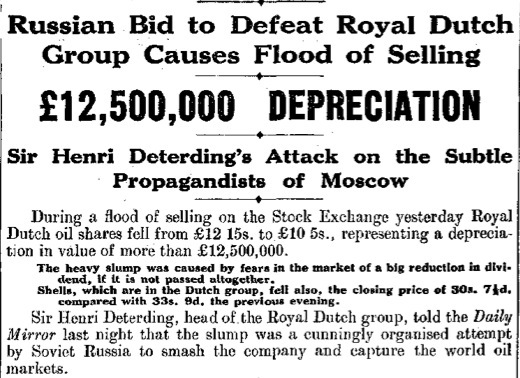 English translation of a Dutch newspaper article from 1932 published under the headline below. 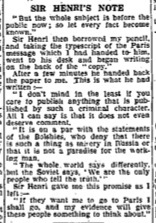 We are not aware of any legal action taken by Royal Dutch Shell founder Sir Henry Deterding challenging the veracity of what was stated about his financial support for Hitler and his Nazi party. Has the Hapag financially supported the Nazis?